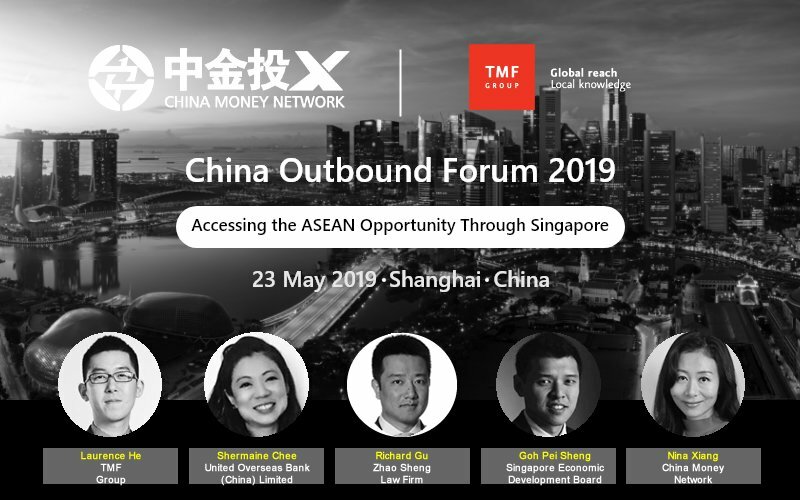 China Money Network, in conjunction with TMF Group, is proud to launch their event and report series: China Outbound Forum 2019: Accessing the ASEAN Opportunity Through Singapore. On Thursday 23rd May, 2019, in Shanghai we will bring together local and regional corporate leaders, regulators and top dealmakers from multi-national companies to discuss and launch a comprehensive report on accessing the ASEAN opportunity through Singapore as a gateway. Singapore is seen as the first port of call for many Chinese investors seeking expansion outside of its borders. Singapore serves as the ideal strategic base for expansion into the wider ASEAN region, because of its ease of incorporation/ doing business, developed incentives, excellent infrastructure and highly skilled workforce. Secure your seat today for the most anticipated Chinese Outbound discussion of the year and receive a digital copy of the report research examining these issues in greater detail. • What new challenges and opportunities do Chinese investors face in their overseas investments in today’s volatile environment? • What are the right strategies and tactics to deal with the new realities? How are these new approaches applied in specific cases? • What benefits does Singapore provide to Chinese investors when they expand into ASEAN market (ASEAN Economic Community)? • Some practical (forward-looking) guidelines for Chinese investors in developing and implementing their regional strategy for ASEAN? Gain forward-looking intelligence and discover opportunities that can propel your business to new global heights at China Outbound Forum 2019: Accessing the ASEAN Opportunity Through Singapore. Goh Pei Sheng is the Regional Vice President (East, Central and South China) in EDB, and oversees the investments and partnerships of China companies in Singapore. 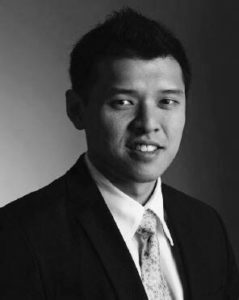 From 2014 to 2017, he led the Semiconductors team in the Electronics Cluster Group in EDB, and was responsible for the promotion and development of the Semiconductor industry in Singapore. From 2011 to 2014, he established EDB’s Wuhan office in China and was working with companies in Central China to invest in Singapore. From 2013 to 2014, he was also attracting investments from Taiwanese companies. Pei Sheng is also familiar with the private sector and was an applications engineer with an American MNC, supporting the start-up of then Chartered Semiconductor Fab 7. 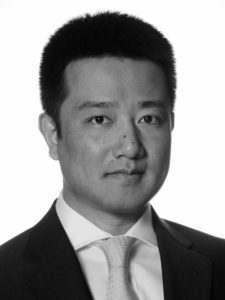 Richard Gu is the Senior Consultant for Zhao Sheng Law Firm, Linklaters’ joint operation partner in China. He has close to 20 years of experience in China-related cross-border M&A and joint venture transactions in a wide range of sectors including automotive, consumer, healthcare, mining and real estate. Richard also regularly advises on matters involving cybersecurity and data privacy compliance. 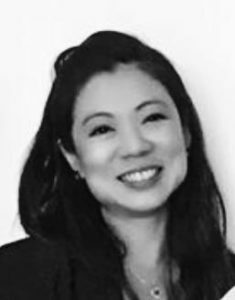 Shermaine Chee is currently Head of UOB’s Foreign Direct Investment (FDI) Advisory Unit at United Overseas Bank (UOB) in China. UOB FDI Advisory Unit offers a one-stop advisory service for global and Asians companies expanding into the region by tapping into UOB’s regional network and ties with government agencies and service providers. Prior to her move to UOB, Shermaine was with the Infocomm Development Authority of Singapore (IDA) for close to seven years, where she pioneered the setup of IDA Labs, an innovation technology Lab which aims to encourage the learning, experimentation and adoption of innovative hardware technology in Singapore. 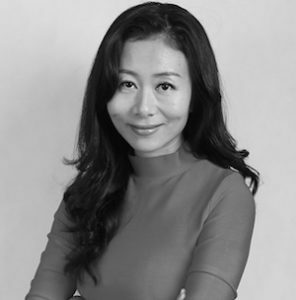 Prior to that, Shermaine was also posted to IDA’s China office where she oversees the industry development efforts between Singapore and China in the technology sector for Northern China. In the early part of her career, Shermaine was with NCS Pte Ltd where she led a team of consultants in the design and planning for Intelligent Building, and Smart City solutions in Dubai, Qatar and China. 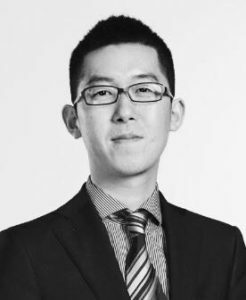 Laurence He has extensive experience supporting Chinese companies investing and expanding overseas. He has exceptional knowledge and expertise of helping companies set up businesses in multiple jurisdictions and stay compliant with the complex local regulations. His wide experience encompasses multi-jurisdictional company incorporation, corporate secretarial, HR and payroll, bookkeeping and tax compliance, fiduciary, PERE fund structuring, and mergers and acquisitions (M&A) structuring. Laurence joined TMF Group in 2014 where he works with banks, law firms and other partners to help Chinese companies localise their business expansion worldwide.